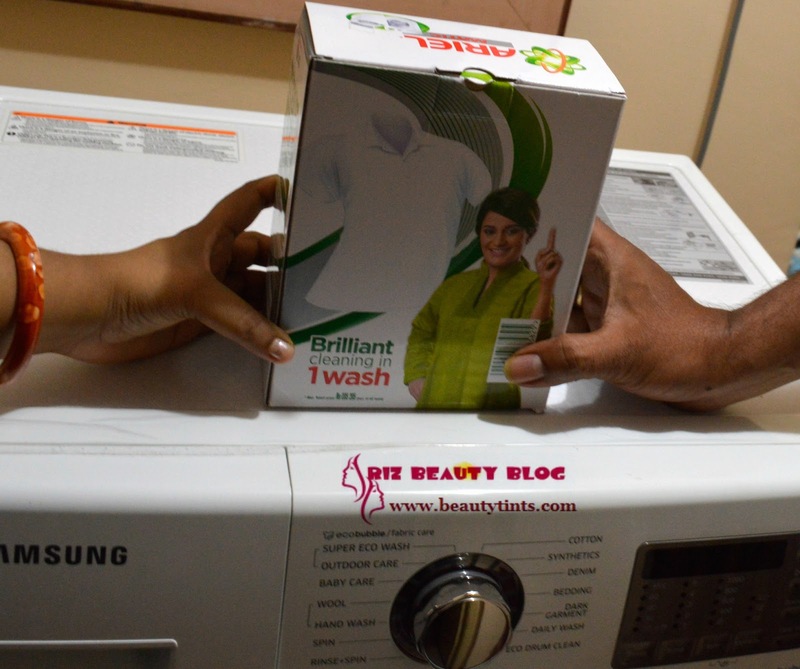 Sriz Beauty Blog: My Experience With Ariel #LaundryGoesOddEven!!! My Experience With Ariel #LaundryGoesOddEven!!! In this fast developing world, everything is changing rapidly and we need to go forward in the same pace. In today's situation when both men and women are equally working hard and equally earning then why should there be inequality in sharing the household chores? So in a family, it is important to split the household chores by both the partners to adjust their timings and to lead a happy balanced life without burdening only one partner. As a full time blogger running two successful blogs, managing both my blog work and household chores is a bit tough and challenging for me in the initial days and I used to struggle a lot to manage both these works. 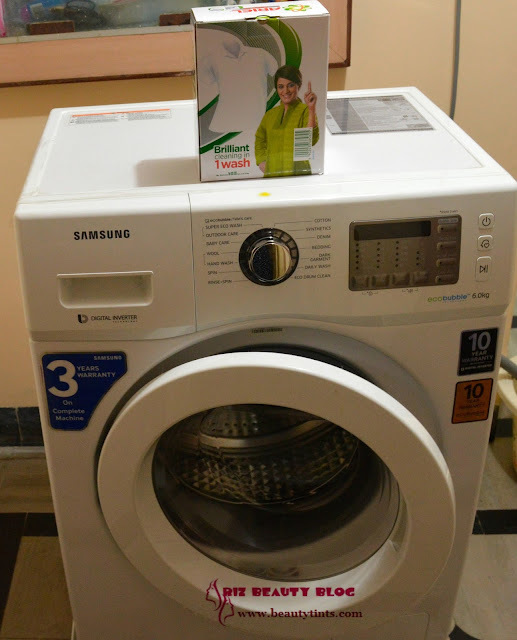 But with the great initiatives by Ariel like #IsLaundryOnlyAWomensJob, #WashBucketChallenge and #ShareTheLoad , my husband understood the importance of sharing the works and he started helping me out in each and every work. And now we are having enough time to spend with each other and I am glad that the wonderful initiative by Ariel has changed my life to a better and much happier one! 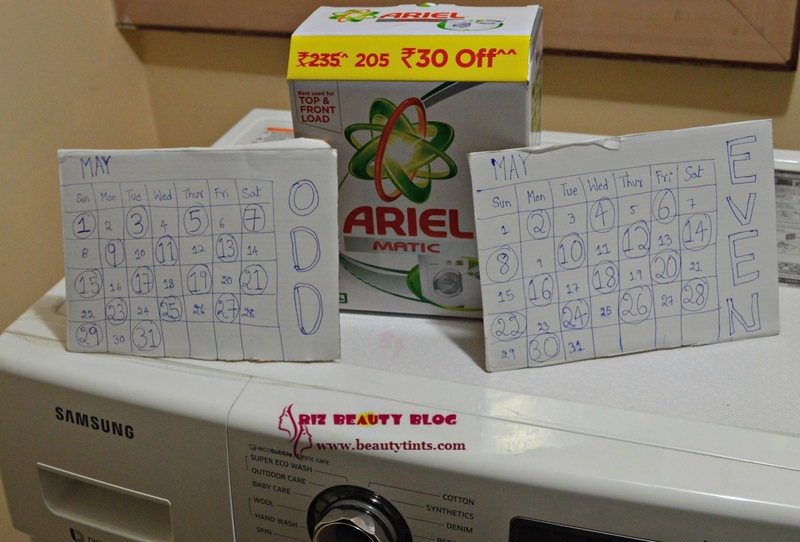 Now the Ariel has come up with a new initiative called #LaundryGoesOddEven, the idea of which is to share the laundry according to dates. Like husband and wife can choose their particular dates either even or odd and can split their chores accordingly throughout the month. So, that both the husband and wife can share the load equally without any issues. I loved this idea by Ariel and even my husband appreciated it. The new Ariel Matic 'Share the load' pack can be used for both Top load and front Load washing machines and it ensures that the stains vanish easily, no maters who does the laundry... so now there is no need to worry about the stains at all! And one more wonderful thing is the new Ariel Matic pack for the first time in the history comes with an Odd-Even calendar so that laundry days are split right down the middle between husband and wife! My pack didn't have the Odd-Even calendar because it was an old one, so I prepared the calendar so that I and my husband could split the chores accordingly. I choose the odd dates and my husband chooses the even dates. And from then I have been doing the laundry on odd days of the month like 1,3,5,7 etc., and my husband on even days of the month like 2,4,6,8 etc., the laundry job has been shared equally between both of us and now our job has become easy and it is getting finished on time. The husband loves this concept and even without reminding him, he is getting ready to do the laundry on his particular dates. 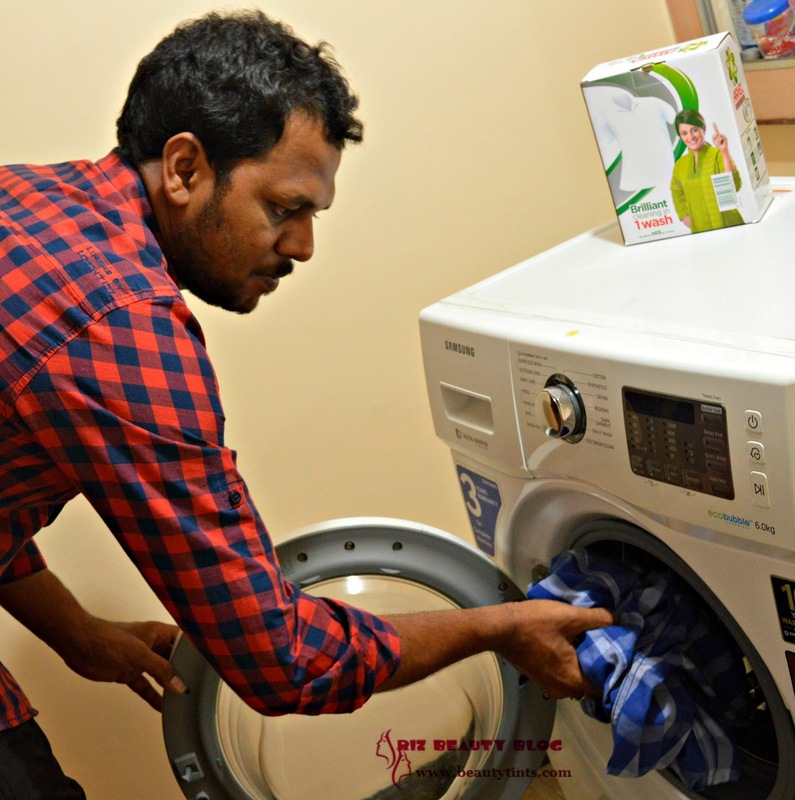 Not only laundry, we are sharing other household chores too in this method. 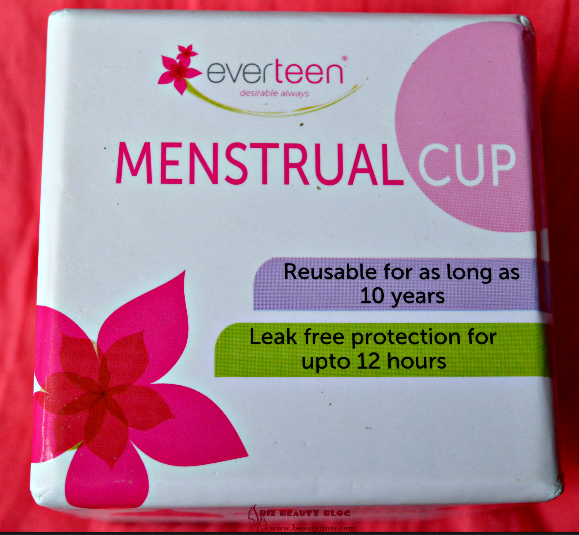 As Ariel will take care of all the tough stains, I have no need to worry about my clothes anymore! 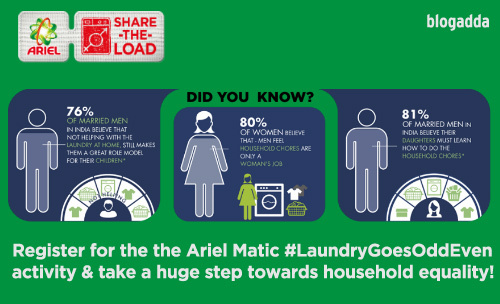 Now, we are having more quality time to spend with each other because of this wonderful #LaundryGoesOddEven initiative by Ariel!!! 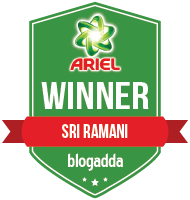 Looking forward for more such initiatives by Ariel and Blogadda in eliminating gender inequality!!! Eye Care Tips For Hot Summer Days!!! The Unique Online Beauty Store Aplava.com!!! Auraa Naturals Handmade Coconut Shampoo Review!!! Aroma Essentials Tomato Face Wash Review!!! My Envy Box May 2016 Edition Review!!! My Idea of a Perfect Vacation!!! 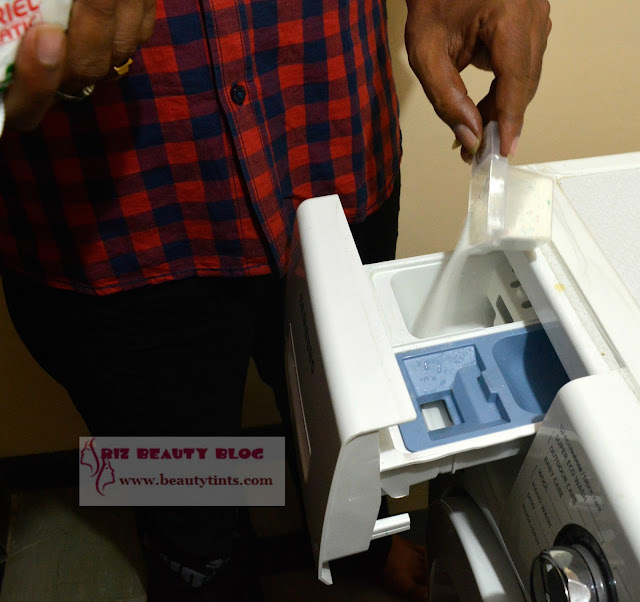 Aster Luxury Bathing Bar Arabic Oudh Review!!! Aaranyaa Facial Massage Cream Review!!! 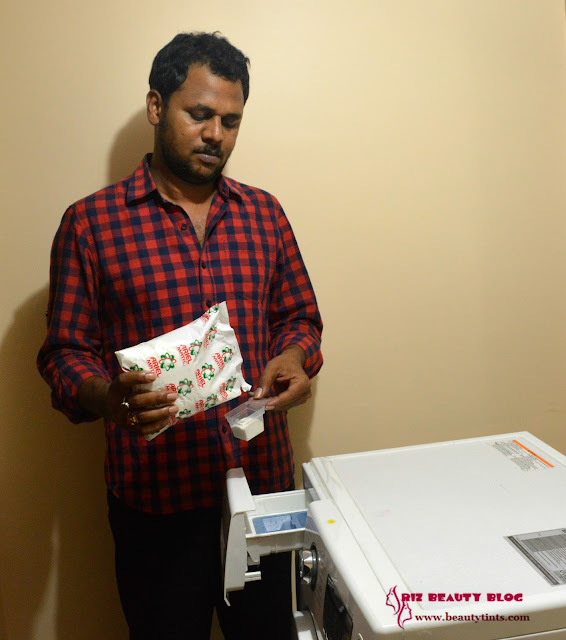 Banjara's Skin +ve Body Lotion Review!!! Neev Aloe Lavender Handmade Soap Review!!! Rustic Art Celestial Rose shampoo Review!! !